Each year, a Christmas Triduum of Masses is celebrated at the Sacred Heart Church on the Western Road, Cork, for the prayers and petitions of MSC mission friends and benefactors around the world. Celebrated over a period of three days, these Masses invite us to unite in prayer at this special time of year, while our MSC priests and missionaries remember especially the intentions of our mission friends everywhere. 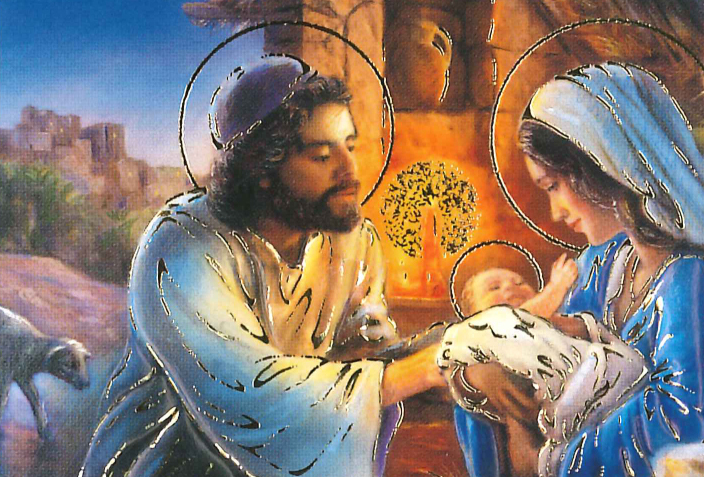 The Christmas Triduum of Masses is a lovely way to extend seasonal wishes to family and friends, and the Triduum certificate makes a beautiful gift to send to loved ones, both at home and abroad. Your goodwill is not just a festive gesture – it is a good deed that reaches far beyond the holiday season, and gives real and lasting hope to many. For many people, Christmas is a time of joy, celebration, unity, and love – for others, however, the winter months bring sorrow, loneliness, and hardship. Throughout the year, our mission friends come to us with open hearts and generous spirits, helping us to help those who need it most, and this kindness is especially appreciated at Christmas time by families around the world. The donations received for Christmas Triduum of Masses help our missionaries to provide food, clothing, medicine, housing, and education to vulnerable families and struggling communities across the world. What we can’t put a price on is the gratitude that comes with this, and the invaluable sense of joy, comfort, and relief that accompanies these material provisions. The true spirit of Christmas cannot be wrapped in a bow, and it is with a sense of compassion, understanding, and togetherness that we unite in prayer for our own intentions, and reach out to help those who are struggling with pain, poverty, or sorrow at this special time of year. All are welcome to join us in a blessed and prayerful Christmas Triduum, and to submit personal prayers and intentions for remembrance. We would greatly appreciate your support for our ongoing mission projects, and in gratitude for your contribution, we will be glad to remember your intentions at our daily Triduum Masses. You can then submit your personal prayers and intentions online, and our MSC priests will remember your petitions specially during our Christmas Triduum of Masses. Mission friends from all over the world can share in the Christmas Triduum by watching our daily Masses live here on our website. This year’s Christmas Triduum of Masses will take place from Wednesday, December 19th to Friday, December 21st at 10am. your happiness into our home this Christmas. those at home and those who will be absent this Christmas. Inflame our hearts with your love. now and throughout the year ahead.